I sat alone with arms crossed. The cavernous room was dark, lit only by a couple of lights and the glimmer of track lighting, which led down each of the long aisles. Silence reigned, save the quiet rhythm of my own breathing. Dark, velvety curtains framed the blank space before me, creating an illusion of grandeur in the small town high school auditorium. My eyes remained trained on the empty stage and my thoughts ebbed and flowed, swirling and churning like many currents in the same river. The somber, empty platform resonated deeply within me. It reflected how I felt inside, despite all the stuff on my stage. My space was full, yet surprisingly meaningless. Regrets flitted through my mind. I winced as each misstep and mistake took center stage in my thoughts, playing out for what seemed the thousandth time. I shifted uncomfortably in my seat. 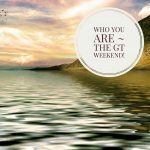 I had made it my practice to stay busy so I wouldn’t have time to reflect on those things, but my latest commitment had ended and I was faced with my shame and regret. Again. 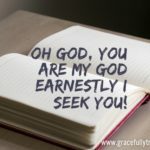 I wish I could tell you that a realization struck me that afternoon; that I recognized my regrets were taking God’s place in my heart and filling me with feelings of self-loathing and depression. I wish I could tell you that I left that theatre with renewed hope and a decision to keep Jesus before me always, but I didn’t. Many years would pass before my heart would soften enough to hear and heed His gentle correction. Even now that I am actively listening for His direction in my life, I battle my urge to say “yes” to every possible commitment that comes my way on a daily basis. And I do not always win. My motivation may be different now, but that doesn’t excuse my sin. Sometimes the commitments, the stuff, the relationships, and all the “other” unintentionally pushes Jesus to the side. The space that should be reserved for Him is instead filled with us. 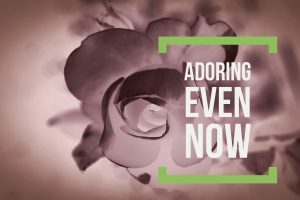 Our deep-seated need for love and acceptance. Sometimes the things idols that dance on center stage are seemingly benign and difficult to pinpoint. Sometimes they are a mind (and heart) set of legalism. Sometimes they are our family. A relationship. Social media. Our home. Want to identify your idols? What will you refuse to live without? What occupies the space of your thoughts, your motivations, your time, your resources? What do you find yourself dwelling on when the last bits of the day are drifting away? Does the Messiah who came to have all of you, hold your whole heart, soul, and attention? Or are there spaces that you section off with thick, theatre curtains, refusing Him admittance, because you’ve got this one. 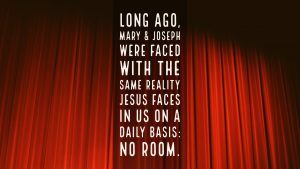 Long ago, Mary and Joseph were faced with the same reality Jesus faces in us on a daily basis: No room. The absence of space for the Messiah, left Mary to deliver her brand new baby – a King, no less – in humble, dirty surroundings. Our failure to create and reserve space for that same King leaves us feeling empty and devoid of purpose. Dirty. to consider the condition of the “stage” in our hearts, minds, and actions. 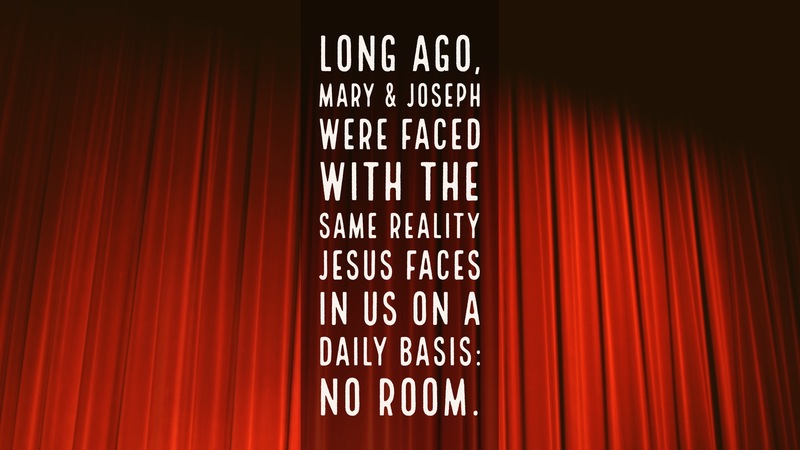 Does the Savior have space to breathe and expand His presence in our lives? reluctant to relinquish our illusion of control to the One who already holds it all? Nothing blows me away and sinks into my heart quite like the uniqueness of generosity. Especially when I know how much it cost the giver. Last December, my 6 year-old daughter came home from Store Night at Awana, a club where she learns Bible verses and core biblical truths. For every verse she memorizes, she earns a “buck”. She walked into Store Night with a pocket full of 20 bucks and an excited twinkle in her eye. Later, after much debating on what to buy, she rushed home to show me her treasures. A plastic ring for her sister, a car for her brother, a candy for her other brother, candy for her other sister, a sucker for herself, and a tea light candle holder with a Bible verse on it….for me. My heart ached from exploding. Why would she buy me something? These were her bucks, she’d waited months for Store Night and worked so hard to earn them. With teary-eyes, I held her close and told her thank you as her own eyes lit up with delight. Then the price tag caught my eye. And tears flowed as my heart broke with love. She had spent half of her earnings on me and got herself a sucker. 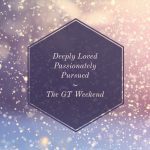 I looked at my daughter, who glowed with giddy happiness at buying me something, and I felt like I was touching a piece of Heaven. I couldn’t pay her back. I couldn’t give her more “bucks” or do a single thing to return this favor. And I caught God’s view of generous living as I kissed my girl’s sweet cheeks. The generosity He shows us is boundless. 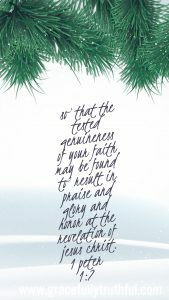 His kindness, His compassion, His forgiveness, grace, comfort, and love, are everyday reminders of it, but the greatest outpouring is found in the gift of His own Son. taking the punishment He hadn’t earned. We can’t pay Him back. And the more we lean into that gift and see just how priceless it is, the more often we will find our hearts adoring Him. And the more we adore, the easier it is to extend His embrace, by giving it away. I read an interesting verse today in my time with Jesus. Yes, this is a tiny rule that applied to Old Testament Israelites about sacrifices, but the why is what made me curious. We all know salt is a preservative, and in biblical times, a “salt covenant” meant that the agreement would not end. In Middle Eastern culture, sharing a meal together was also a critical part of entering into a salt covenant because it meant that a deep sense of friendship was involved. The covenant was more than just a contract that couldn’t be retracted; it was about an intimate friendship being preserved as well. The Grain Offering for the Israelites? It was a “meal” between God and the priests. The portion that was to be burned up for God was only a handful, the rest of the offering was given to the priest as their portion of the “meal”. The covenant between God and Israel was a “salt covenant”; it couldn’t be broken. And it was much more than a contract; it represented a restored relationship, a mutual friendship. In Colossians 4:6, Paul is in the middle of talking about various relationships (marriages, workplace, fellow Christians, and unbelievers), and he concludes by urging everyone to allow their conversations to be seasoned with salt, no matter who they are talking to or interacting with. Our lives are meant to reflect that original “salt covenant”! so God keeps it for us by His grace. A grace we are called to extend to everyone within our reach. It’s a covenant of deep friendship, a friendship we are to invite others into. We’ve looked at so many ways and reasons to give Adoration to the Lord in this series, but the one that honors Him most, is the one that overflows onto others. As we bring praise to the King, look deep into His heart, get wrapped up in His love, stand in amazement at His grace and goodness, His intention is that our conclusion is to give ourselves away. By not omitting the salt. so that it motivates us to extend His grace to everyone around us. My daughter’s generosity affected me so deeply because I knew there was no way to repay her. The gift God gave us by restoring our relationship with Him is one we could never repay. I want to give it away just as He gave to me. Thanks for joining us today as we journeyed into Adoration Week Three! Don’t miss out on the discussion below – we’d love to hear your thoughts! Looking for yesterday’s Journey Post? Check out Even Now! 1) What is a “Song of Ascent”? 2) What analogy does the writer use in verse two to explain God’s character? 3) What two types of people are described by the Psalmist? The Psalms referenced as the “Songs of Ascent” are Psalms 120-134. This description means just as it says, songs that “ascend” or go up! One thought of study suggests these songs (Psalms) were sung by Jews going up to Jerusalem during the three major festivals because they traveled “up” into the mountains. Others think they were songs speaking spiritually of our progress and maturity in a person’s spiritual life. (www.biblicalresearch.info.com) There are actually several schools of thought about what the titles given to these songs actually means. 2) What analogy does the writer use in verse 2 to explain God’s character? In verse two, the Psalmist compares God’s protection of His people to the mountains that surround Jerusalem. If you were to look at a map, you would see clearly the mountainous terrain that is found in the Judean countryside. As a traveler, it was not easy to navigate, but with this comparison, we see God’s protection around His people like the mountains around Jerusalem. We are reminded in this psalm of the promises of God for those who follow Him. We know that if we trust, despite circumstances, we will not be moved. The constant joy and hope is eternal and “abides forever”, regardless of what our “now” looks like. 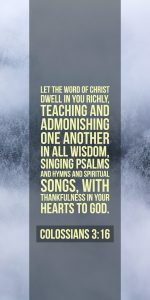 No matter what the original intention was behind, “Song of Ascents”, we can be encouraged by the Psalmist’s words. God’s protection is like a mountain that protects a city. The mountains rise up and don’t move. Likewise, the Lord is a God who never moves and is not shaken by life’s tragedies and burdens. We are reminded in this Psalm that “the Lord surrounds His people from this time forth and forevermore.” There is no end to His mercy and protection. Our feelings of whether God is with us doesn’t drive the Truth that He is there. Whether we feel Him or not, we are surrounded by Him! We can praise God in loss and trail because we have previously made the choice to follow Him. In making that choice, we are afforded the promises that He offers. 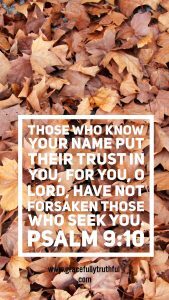 God desperately wants to be in relationship with all people, but when we read this Psalm, it’s evident that there are those who have not made that choice. When trial and circumstance, loss and death, joy and defeat come our way as believers, we can stand firm knowing for all eternity, God will not be moved and there is NOTHING that can take us away from His presence. (Romans 8:37-39). 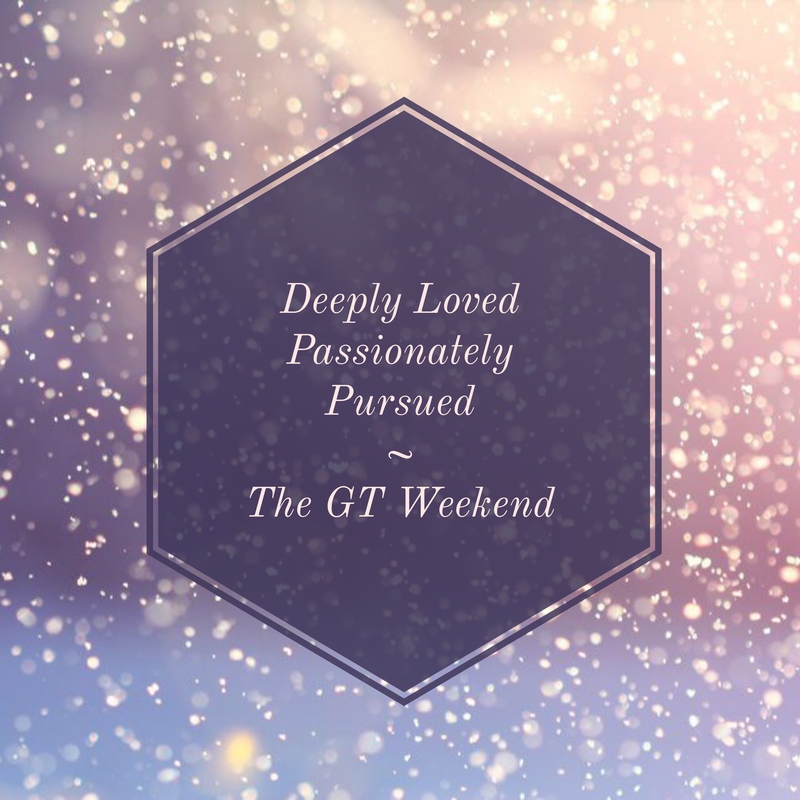 Thanks for joining us today as we journeyed into Adoring Week Three! Looking for yesterday’s Journey Post? 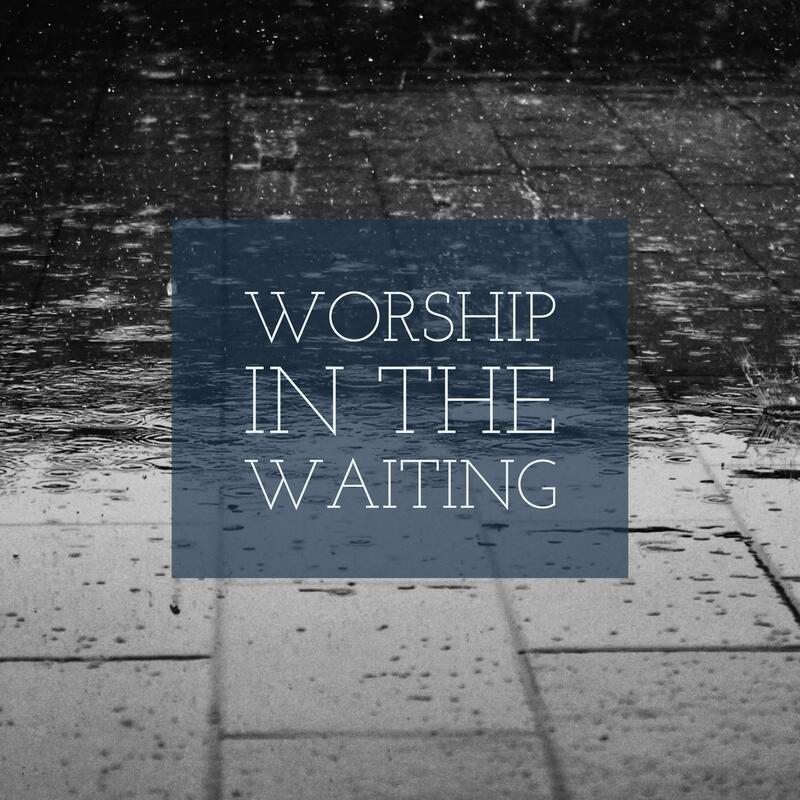 Check out Worship In The Waiting! 1) What’s the big deal about God’s name and why does He call Himself “I AM”? 2) What is the significance of God “observing” in v 16? Is He a casual onlooker? 3) What does this passage reveal about God’s character? In biblical times, the giving of a name was meant to give a definition of that person, either by occupation or by characteristic or perhaps the circumstances they were born with. God gives Himself a name that defines Him with Himself. He simply is. He is timeless, the beginning and the end of all things. There is no other definition for God except “God”. He holds the supremacy in all matters. He also refers to Himself as the God of Abraham, Isaac, and Jacob, which is the name He had been known by since cutting the covenant with Abraham and his offspring from that covenant promise. God wanted to be known as the covenant-keeping God, for Abraham, for the new covenant that would come in Jesus, and for the fulfillment of the covenant with Christ’s return. He is trustworthy to be the same, yesterday, today, and forever! Check out these references! “Observe” here does not have the same implication we may take in our western culture. The Hebrew meaning is much stronger being defined as, “caring for, looking after, or attending to”. We get the idea of an attentive parent caring for the needs of a child, definitely not a casual onlooker who just happened to suddenly notice the Hebrews being enslaved. So Much!! He promises freedom from slavery and bring them into a homeland rich with inheritance. Which we see Him act faithfully on and keep His word. He is honorable, steadfast, and completely trustworthy. God tells Moses flat out that He knows Pharaoh “will not let (the people) go without being compelled by a mighty hand” (verse 19). Which later proves true in 5:2 and 7:4. He is all-knowing, seeing past, present, and future, and able to work and intercede throughout time. He is all-powerful as He tells Moses, again in advance, that He will stretch out His hand and do wonders in order to free His people (verse 20). We also see that He is a providing God, both physically and spiritually. He allowed the Hebrews to plunder the Egyptians as they escaped slavery (verses 21-22). 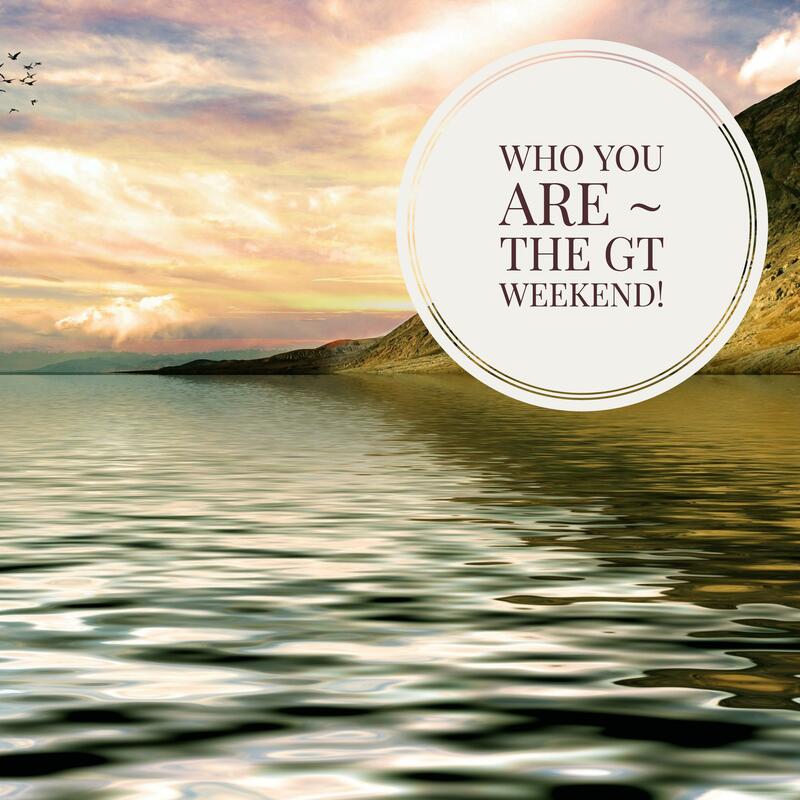 1) How does God calling Himself the “I AM” impact my everyday? God gave Moses his intimate, personal name. “I Am” was referred to as Jehovah, but was such a personal name, the Israelites would never say it or even spell it completely, out of respect and awe. In our modern Bibles, every time you see LORD with all capital letters, it indicates this personal name for God, Jehovah, the “I Am”. 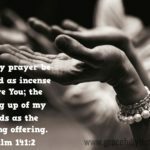 Back to Moses….there he stood on holy ground, with his head bowed low before the mightiness of the timeless, infinite God, and the All-Powerful told Moses to call Him by His intimate name. What an incredible picture of God’s passionate heart! He is both Almighty and intimate, personal Savior. Ruler of the universe, and yet He is the same one present with us when grief washes over us, when relationships fail, and sadness overwhelms us. The God OF all, is the same God IN all. God’s observance or “attentive looking after” isn’t limited to large nations, but rather He carefully watches over each of us. Even tiny sparrows aren’t overlooked in God’s observance, how much more so the everyday lives of the beloved people He died to save? We aren’t slaves of cruel taskmasters in ancient Egypt, but we can easily become slaves to a myriad of other masters. Fear, shame, the past, a relationship, financial loss, failing health, anxiety, or even monotony, but the character of our God reminds us that He Is All In. He is for us and not against us. He isn’t outside our reality with hands bound, He’s present, He’s caring, He’s trustworthy, He’s powerful, and He is our great provider, whatever the situation is. Rest easy in who our God is! I have 7 kids at home from newborn to teenager. Besides the obvious fact that I live in crazy town sprinkled with hilarity and wrapped in sweet love, I also live in monotony. Schedules keep us sane. Everyone has a job and each day flows pretty much like the one before it and the one before that and the one before that. Some evenings, as I take scrub brush to dirty plate or fold that 3rd load of laundry or pick up the same toy I had already put away or repeat the same directions I’d already said 10 times, I wonder…is this all there is? Is this my big calling in life? Monotony? Whether your days are full of mommy-moments, school classes, deadlines for work, or something else entirely, I bet we’ve both wondered the same thing. Is this everyday-life-stuff really mattering? I read about the apostle Paul and all that he did….and I feel kind of…lame. Reading Acts straight through, it seems like Paul really had it all together for Jesus. Preaching, getting persecuted, risking his life for the gospel, proclaiming Jesus at every turn, writing letters to the churches, traveling abroad as a missionary. It’s like every single day in the life of Paul was spent doing something incredible for God. My everyday? Well, seeing as how I’m on my 10,000th diaper (yeah, that’s not an exaggeration, I calculated out an average over 7 babies), I’m not so sure I’ll ever have a day that looks like one of Paul’s. But then I read a teeny, tiny little phrase that began changing my super-human perspective on Paul. “But I went away to Arabia and returned to Damascus. Then after three years I went up to Jerusalem…” He points out his calling to the Gentiles and then takes just a few words to tell us that, before he began his work of preaching in Jerusalem, there were 3 years. Three years we know nothing about. Three years of waiting. Three years of day-to-day regular life. Then there’s Moses. Pretty big Bible character, right? Brought down plagues on the Egyptians, freed the Israelites from Egypt, parted the Red Sea, and led the entire nation through the desert. But before he became a hero, he was a fugitive for murder, which left him in another desert, shepherding stupid sheep for 40 years. Forty years of waiting, of wondering if this was it. Forty years of everyday, ordinary work and marriage. But God wasted none of this. Timing is huge for God. It’s exact. It’s precise. It’s His. He sent His Son at the perfect time in history. Jesus will come back at the perfect time, decided and known only by God the Father Himself. Just as we are waiting here in the everyday, God is waiting also. And He’s using the wait. Though we don’t know what Paul did in those three years, based on his ministry later, it clearly wasn’t wasted, no matter what his everyday looked like. Paul walked away from the duties of the law, everything he was, and all he had known, and spent time being transformed and taught by Jesus. And Moses’ forty years? The prince turned pauper, was learning how to shepherd. And when he was ready, when the Hebrew people were ready, when the time was just right, God moved him into shepherding people instead. His arrogance was gone, his head had cleared, and he probably had learned a great deal about patience. He learned about relationships when he married and lived in a tent with his father-in-law, and he had become an expert in the ways of the desert. Along the way, he discovered the holiness, the tenderness, the compassion, and the authority of God. ….because God is teaching me to worship. See, worship is the lynch pin in life. What you worship speaks to what your life will become. It’s the deciding factor in whether the waiting will be wasted or not. We can either worship self or the Savior, the choice is ours, but it is a choice. The same choice is ours. Our every day moments, will be here again tomorrow and will be here as soon as you finish reading this, the choice is the same too. What will you worship in the now? there’s no telling how He will build His kingdom in and through us! 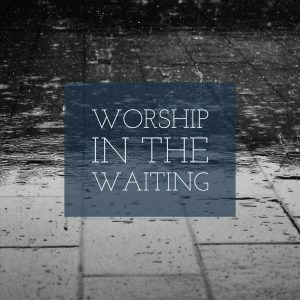 He will never waste your worship, or the waiting. 1) It’s easy to pursue Jesus’ face in the midst of difficultly as our “lifesaver” and ignore him when all is well. What has been helpful in keeping you accountable in seeking Father when things in your life are moving along nicely? 2) What’s your word; your one thing that comes to mind when you hear talk of deep seeded, I’ve-never-told-anyone fear? There is so much freedom in pinpointing it and sharing it. Take another moment to think again of what you fear. Find a close friend to share with or email us at prayer@gracefullytruthful.com to share with us. Father, You love me deeply. Jesus, I come to You in repentance. Forgive me for turning from You and not following hard after You when my life is easy. Draw me closer to You, keep revealing more of Your face as I look to You when my life is going well. Father, as I lean into the things I fear, let me choose faith over fear. Remind me of how big You are in the midst of the chaos of life. Let me be reminded of how deeply You love me, how You long to go deeper with me, and how You are faithful to Your own character. Lead me closer to You, my Lord. Almost 5 years old. That’s generally when my kids start leaning in to their imaginations and letting fear have a hold on their young hearts. Shadows are spooky, dreams are scary, the dark is overwhelming, and frightful things are waiting for them under their beds. But they do have an “out”. Run to Mommy and Daddy’s room. They know compassion waits in our arms, even if we can’t make the nightmare end. They know they are safe to tell us they are scared. Security is found in knowing who they run to. It twists our insides, making us shudder, forcing our eyes to quickly avert the scene in our mind’s eye. I’ve lied because of fear. I’ve pretended fear doesn’t affect me. I’ve driven away the ones I love out of fear. But nothing I’ve tried has healed my heart or offered me hope. Like you, I know the insides of fear. I’ve lived in its shifting shadows and wished desperately for an escape. I’ve feared for my changing marriage relationship. I’ve feared for the life of my child. I’ve feared the consequences of failing. I’ve feared the image of an angry God. Pause and let your heart draw it out. That fear. The one that you run from. the grip of its claws sink into us all the same, enslaving us like heavy chains. Fear pulls back the shades of our insides making us shiver with the exposure of our terror. would point us towards Himself. He’s waiting in every breath, every tragedy, every heartbreak, every fear come true. Waiting with arms of compassion spread wide, beckoning you to go deeper with Him, to see His face more clearly, to know His heart more fully. Fear is either the doorway through which we see and love Jesus more deeply or it’s the dark, back alley by which we run farther away from the intimacy He offers. Choosing to walk through the doorway instead of running down that alley starts with something simple. Rather, it’s a hunker-down here in the dirt of my fear, and choose to gaze unswervingly upon the face of the Jesus who loves us. It doesn’t even start with something we are “thankful for” like water or air or another list of “blessings”. It’s rooted in God’s unchanging character. You are the God who has counted every hair on my head and knows where each strand lies. Your love for me is boundless. You control the winds and the waves, the seasons, the tide, the universe and yet You know me. You are the God who is intimate with details. because we know we are lavishly loved. Adoration. 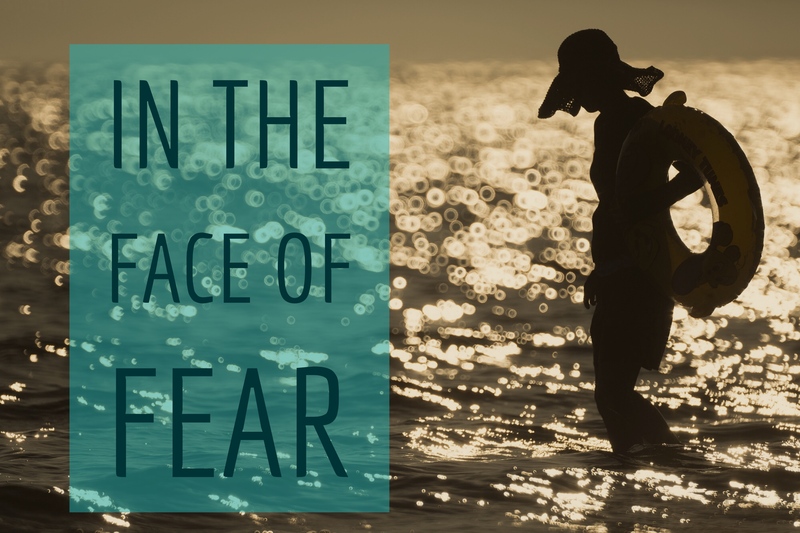 It frees us from fear. 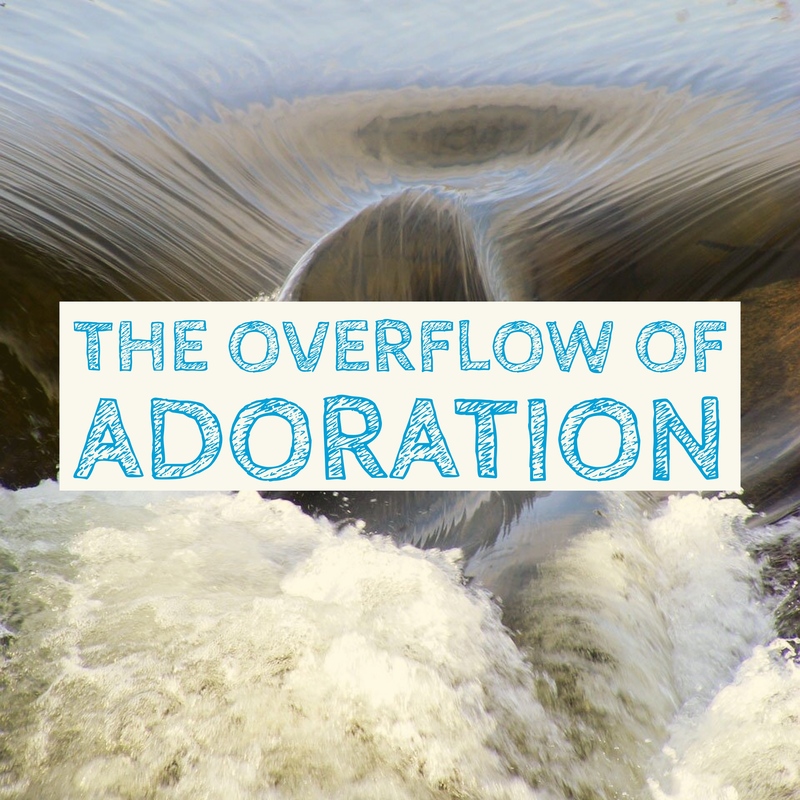 Sincere adoration isn’t something we can just conjure up though; it grows in the fertile soil of an intimate relationship. When we want any relationship to grow, we invest in it by getting to know that person. We stalk their social media accounts, we join them in recreational activities, we talk to their friends, we make notes of what they like to drink and where they like to go for fun. The same is true in getting to know God. Sure, He sounds intimidating, as He should. But deciding to make “studying Him” a priority will be an investment you will never regret, yielding unfading benefits both for this life and the next. The more you know Him, the more you love Him. The more you love Him, the more you trust Him. The more you trust Him, the more quickly you run to Him with your fears. And the less power your fears hold over you. Study Him. Know Him. Adore Him.